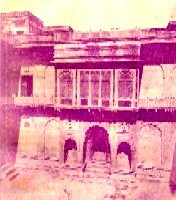 Being a man of modern outlook and forward thinking, Raja Sahib rendered financial assistance to the then ruling British government for various public works to improve the town. Of course his prime focus underlying such assistance was the welfare of his people at large. But the benevolence shown by Raja Sahib was not only routed through the British government, he extended financial assistance to his friends in debt, students and cultivators. 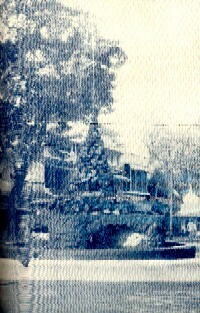 Inns or Rest Houses, popularly known as Dharamshalas were constructed at different places. His father had already built a Dharamshala at Bhedaghat on the bank of river Narmada. In course of time, repair works was performed under the supervision of Raja Sahib. 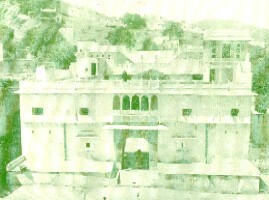 Later on, Raja Sahib built another near it. The Dharamshala at Mathura is known as ‘Jubbulpore Walon ki Kunj’. 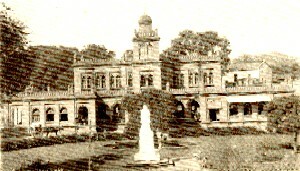 The significant contribution made by Raja Sahib, which with passage of time has been forgotten is the loan rendered to Jubbulpore Municipality for the construction of Water-works at Khandari, in the year 1883. Since the Jubbulpore Municipality was not in position to contribute the sum of Rs. 5,00,000 for the Water-works, it was Raja Sahib who came to rescue at this time of crisis. He willingly accepted the terms laid down by the British government to pay back the loan over a period of 16 years. But as the work of the reservoir commenced, the Municipality came to realise that it would be unable to pay back the loan within the set time period. As a result of this, correspondence was made with Raja Sahib with fresh terms and condition, conveying the message of Jubbulpore Municipality in paying back the amount. The government clarified that 16 years would be very short period to pay off such a large loan amount and requested Raja Sahib to re-consider their set of terms to pay back the loan in 27 years. The terms and condition were gladly accepted with a favour that town people be not required to pay any water rate or any additional tax on account of the Water-works. 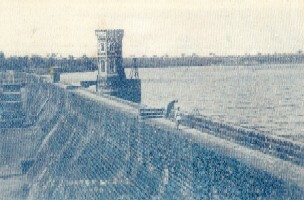 Sir J. H. Morris, Chief Commissioner, Central Province opened the reservoir of Jubbulpore Water-works on 26 February 1883. 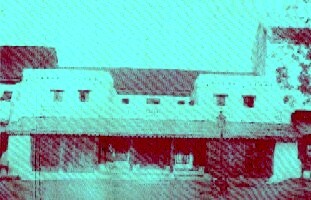 As the city of Jubbulpore had no Town Hall therefore a great need for suitable place for public functions was always felt. Generous Raja Sahib came forward and contributed Rs. 30,000. The hall was so commodious that over and above the space occupied by the Municipal offices, District library and the Courts of Honorary Magistrates, there remained room for big public gatherings. The hall has after independence renamed as the Gandhi Town Hall. It was Raja Gokuldas, whose attention was drawn towards the fact that there was no separate female hospital in the city for the proper diagnosis and treatment of problems pertaining to gynaecology during later half of the 19th century. It was indeed a bold step taken by Raja sahib during the period when women were considered to be an oppressed class. Accordingly he wrote to the then Chief Commissioner of Central Province intimating his willingness to make contribution for such a hospital. The Chief Commissioner welcomed the offer made by Raja Sahib. In his letter, he expressed great satisfaction at the proposed scheme for the liberality displayed by him in the expenditure of a sum of Rs. 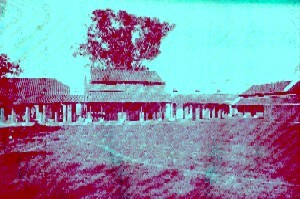 30,000 on the construction of the Elgin Female hospital at Jubbulpore. Her Excellency the Countess of Elgin opened the female hospital on the 7th December, 1896 during the incumbency of Surgeon Lieut. Colonel H.K. Mackay, Civil Surgeon of Jubbulpore. In the year 1895, famine gripped the Central Province. Crops had failed due to lack of rainfall, there was shortage of food. Many starving people roamed in the streets of Jubbulpore. Kind-hearted Raja Sahib came to the rescue as he could not see the plight of his people. A poor house was opened. The then Deputy Commissioner, A. C. Duff wrote a letter to Raja Sahib for his kind heartedness. Besides this, he also subscribed Rs. 10,000 to the relief fund started by the Government during the Great Famine of the 1899-1900. In addition to the above he also spent large amounts to help the famine-stricken people in his own villages.